Project Description: As part of a private development project in Monmouth, Westech worked with ODOT and the City of Monmouth to improve approximately 1,700 feet of Highway 51 through Monmouth. 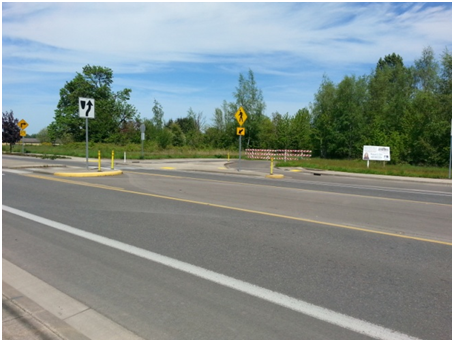 The project included street widening, curbs, sidewalks, striping and access improvements. All improvements were designed in accordance with ODOT standards and requirements and all plans and specifications were reviewed by ODOT prior to construction. The developer was responsible for the westbound leg of the highway improvements. As Westech developed the preliminary design, it became obvious that with minimal additional funding, a full street versus a half street improvement could be accomplished. 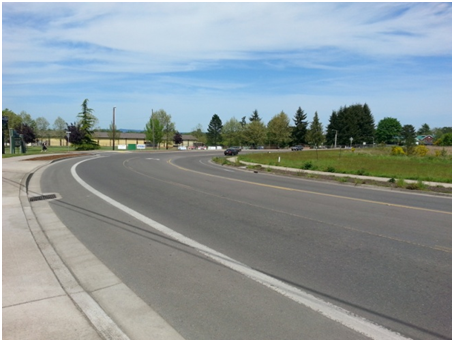 Westech worked with the City and ODOT staff to secure additional funding for the eastbound lane and additional sidewalk. The City received a grant from ODOT for the additional work. Westech prepared a detailed analysis of the street improvement cost which served as the basis of an agreement between the developer and the City. One significant challenge was the design of the two 90 degree curves. The existing roadway at the curves did not meet ODOT standards. Significant negotiations took place between ODOT and Westech which resulted in ODOT granting a design exception to their standards. The City and developer were proponents of the design exception since it resulted in reduced traffic speeds and required less right of way procurement.